Beach near the mouth of North Creek, Grand Turk. 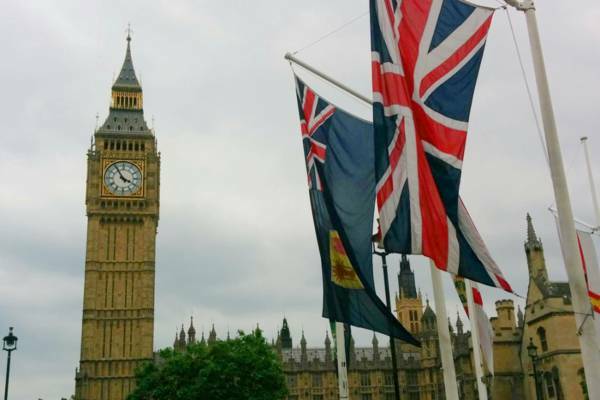 The flag of the Turks and Caicos Islands flying outside the Hosues of Parliament, Westminster, London. Only the United States, Jamaica, and Haiti have diplomatic representation in the Turks and Caicos Islands. The consulates for Jamaica and Haiti provide full consular services, and the US Consular Agency assists primarily with visas. 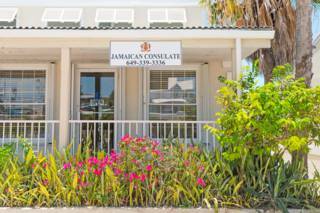 The US Consular Agency is located at the Regent Village in Grace Bay, and within easy walking distance of many resorts. 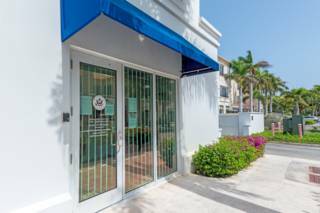 Previously, there was an Honouary Consulate for Germany located in Grace Bay, it however was closed down. For other nationalities, representation is normally handled through embassies in Kingston, Jamaica, or Nassau, the Bahamas. British Citizens requiring assistance are advised to contact the Foreign and Commonwealth Office in the United Kingdom. 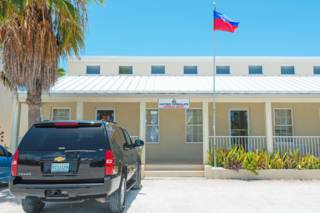 The Consulate of the Republic of Haiti is located on Providenciales, and provides a range of document and other consular services. Staff speak Haitian Creole, French and English.